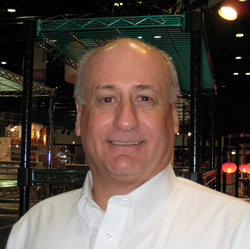 The Eagle Group is pleased to announce that Mark Brenner has been promoted to the position of vice president of sales for the food service division. Mark has been with Eagle for over 11 years and is a 37-year veteran of our industry. He brings a vast background and a wealth of experience to this position. The Eagle Group is pleased to announce that Mark Brenner has been promoted to the position of vice president of sales for the food service division. The largest broadline manufacturer of commercial foodservice equipment, Eagle Group has been serving the market since 1947. Beginning with stainless steel worktables and sinks, Eagle's product line has continued to evolve over the last sixty plus years to encompass a full range of shelving, storage and transport equipment, countertop cooking and warming equipment, and much more. Commenting on the appointment of Brenner to vice president, Larry McAllister, Eagle's president said "Mark has been with Eagle for over 11 years and is a 37-year veteran of our industry. He brings a vast background and a wealth of experience to this position." In addition to offering a full range of standard products, Eagle also offers custom design and fabrication services through their SpecFAB® Division. Whether the need is for a single unit or a complete kitchen, designers and fabricators provide fast, affordable products and services to meet the individual needs of any commercial kitchen. For more details on this appointment or any of Eagle's products, phone (800) 441-8440 or (302) 653-3000. Web: http://www.eaglegrp.com.